You can easily spend at least a month in Cuba and that might still be less, From the tobacco valley of Pinar del Rio to the glorious beaches of Varadero, there is everything for every kind of traveler in this magnificent country. The landscapes, the culture and the food will make you experience everything this country has to offer. Covering the central and west of the country and visiting the main cities is what I did in this trip, but will definitely be back for more. Everyone requires a visa to Cuba. And whether your country has a consulate or not, you can get the visa for $20 at the airport just before arriving in Cuba. For example, I flew from USA to Cancun (CUN) to Havana (HAV), so I had to purchase the visa at Cancun airport. Allow yourself an extra hour to get the visa, fill in the details and proceed to your flight. Cuba has two legal tenders – one is called Cuban Peso (CUP) and other is Cuban Convertible Peso (CUC). The locals are not allowed to use CUC (actually pronounced as “cook”), while officially tourists are not allowed to use CUP. Officially, CUP is pegged to the USD as CUP 26.50 to a dollar, whereas CUC is one-to-one with the dollar. 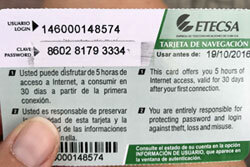 You can exchange currency on arrival at the airport or any point of entry in Cuba. If you are a US resident then your credit cards will not work in Cuba, so get enough enough CUC for most purchases like restaurants, transport and hotels. But also get some CUP for local food and purchases. Most restaurants that cater to tourists will list their prices in CUC, but local hole-in-the-wall eateries charge in CUP, which can be really cheap and delicious food! All exchange between CUC and USD is subject to a 10% Cuban tax on top of all exchange rates. This means that for 1 USD, you will get 0.9 CUC rather than 1 CUC. Cash or cards – It is very rare for Cubans to accept credit card payments, although most restaurants catering to tourists will accept with a fee. The best option is to pay by cash. U.S. based credit & debit cards will not work in Cuba. Internet – Cuba doesn’t have wide internet which means that most hostels, Airbnb hosts and restaurants will not have wifi. The only place wifi is available is a town square and can be accessed by purchasing a card from the local post offices. Each internet access card costs CUC 10 (and up) for 1GB of data usage with wifi. You will have to walk up to that place of square where you will find the wifi network, access by entering the PIN numbers on the internet cards and browse the really slow networks. Buses – Tourist buses between cities are common, but they have specific schedules and do not run all day. Moreover, locals are not allowed to take the tourist buses, whereas tourists are not allowed to take the local buses, which cost less than half. The ticket officers will issue tickets based on your ID. This means that as non-locals you must pay in CUC, whereas locals pay in CUP. 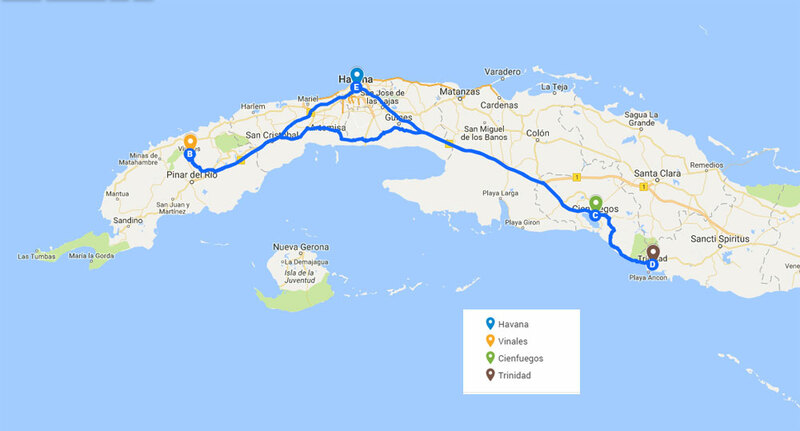 Travel within Cuba: Collectivo or Bus? Here’s our take on which, Viazul bus or collectivo, is faster, safer and more available for transportation in Cuba. Rent a car – Renting a car in Cuba is a great way to see the country. With wide lanes and paved highways, it’s a good chance to explore the main towns that well connected. Rent a car from ZunZun for some good deals. Hotels – Broadly speaking, accommodation in Cuba falls into two types: hotels and casas particulares – literally “private houses”. The hotels themselves divide into two relatively distinct groups: those run by wholly Cuban-owned chains, which are therefore state-run and owned; and those run by international chains. Airbnb is huge in Cuba and very cheap as well. Most of the hosts are extremely friendly, speak conversational English and very helpful. Rather then searching for hotels, which are privately owned and very expensive, look for casa particulares to find the best and cheap accommodation. Websites like casaparticular.com or mycasaparticular.com are well-known, but your best bet is Airbnb. Every single Airbnb houses or Casa Particulares will charge extra for breakfast. Most of them range from CUC 5 to CUC 10 per person, and the breakfast is usually a continental one with eggs, juice, bread with butter and jam, vegetables (tomatoes, cucumbers, olives, etc. ), coffee/tea and sometimes they provide something extra. So be prepared to pay CUC 10 for breakfast. Cleanliness – Cubans must be proud of the cleanliness across all cities and towns. The streets are void of road-side trash and people ensure make use of the trash bins around the city. So while you are at your hotel or in your home country, where you have wifi access, open a maps app like Google Maps, Ulmon Maps or maps.me and point it to the address or area in the destination town or city. Then zoom-in and zoom-out around the area, or around the entire town if it’s a small one. This time the app will load all the maps and places on the phone memory. That’s it. When you arrive at the destination, just open the maps app and you will still be able to browse around without any data. I booked casa particulares before traveling to Cuba, which are required to be shown during immigration. Havana Hostal Plaza Vieja €72 ($78) Two nights. Double bed. Shared bathroom. Viñales Casa Paez (Airbnb) $50 Two nights. Double bed. Private bathroom. Cienfuegos Hostal Coloial D+D (Airbnb) $28 One night. Double bed. Ensuite bathroom. Trinidad Hostal Fany y Odalis (Airbnb) $56 Two nights. Double bed. Ensuite bathroom. Havana Habitación frente al Malecón (Airbnb) $33 One night. Double bed. Ensuite bathroom. I booked flights before traveling to Cuba, with the help of Kayak and Skyscanner. All prices are per person. LAX-CUN-LAX United Airlines $475 Return flight. Economy. CUN-HAV-CUN AeroMexico $220 Return flight. Economy. International Flights $695 LAX-CUN-LAX and CUN-HAV-CUN. Accommodation for all days $245 See the list and costs above.